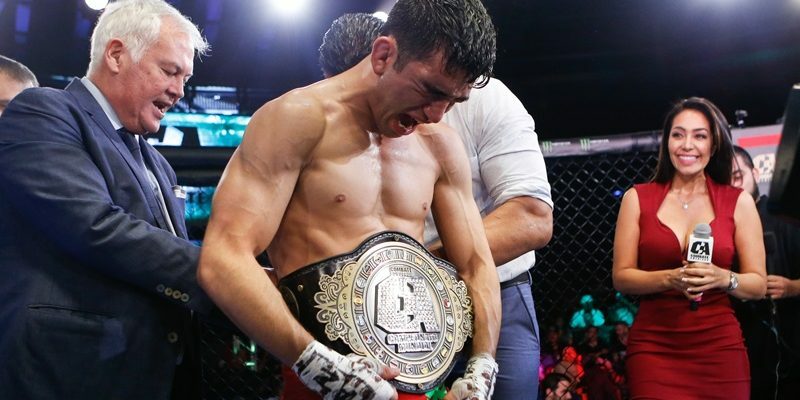 Combate Americas in Phoenix, Arizona is history, the Hispanic promotion crowned its first champion, being the Mexican Jose “Pochito” Alday the new king of the bantamweight division (135 pounds). In a hard-fought duel between Alday and his rival in turn, Gustavo Lopez, the Mexican took the best part, after achieving the triumph by a close split decision (30-27, 29-28, 29-28). Also on the card was Tracy Cortez’s TKO victory over opponent her Karen Cedillo at 3:53 of the second round, all after a dominant performance that allowed the Arizona-born fighter to take a convincing win. Opening the main card, Mexican Rafa “Gifted” Garcia won his eighth consecutive victory, leaving his record at 8-0, seven of those victories by finish. His opponent was the experienced LaRue Burley, who was defeated by TKO at 2:26 of the first round. A victory that made everyone jump from their seats was that of Eduardo “El Pube” Alvarado, who connected a strong hook to the liver of his opponent Roman “El Gallito” Salazar, knocking him out at 4:14 of the first round.